2013 has been an important year, a turning point that has offered me many great opportunities and experiences. Perhaps that’s why I’m so reluctant to welcome the new year that is fast-approaching; I’m not quite ready to let go of the year that has literally transformed my life. 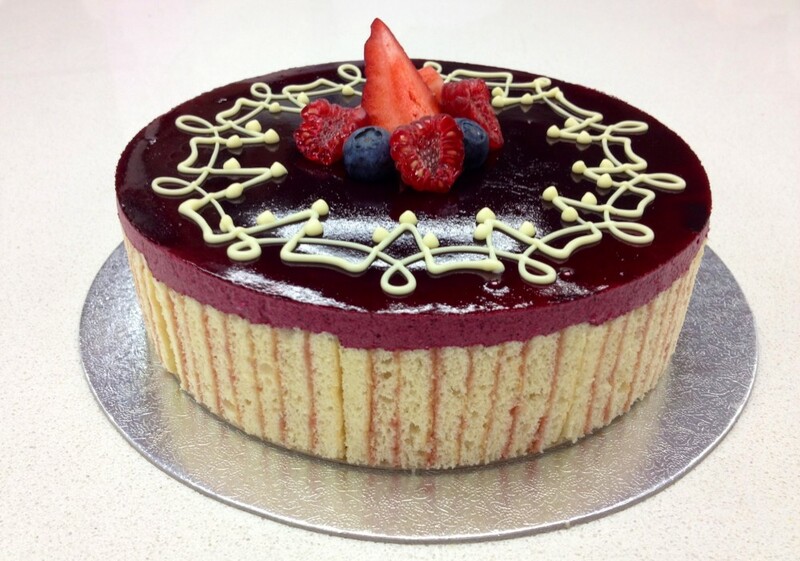 In January, I began studying for my Patisserie Diploma at Le Cordon Bleu London. I still remember the very first time I stepped inside the building on orientation day, just another nervous face in the vast crowd of new intake students. It felt unreal being there, listening to the welcome speech, being shepherded around on the school tour, introducing ourselves to each other under the watchful eyes of the chefs supervising us as we stood in the third floor pastry kitchen. I can’t believe this is it, I can’t believe I’m really here; those were the thoughts that ran through my head in a continuous loop that day. Like a strange dream, it was the culmination of almost a year of planning, the idea of attending culinary school suddenly transformed into a reality. Taking on the stage whilst studying was probably one of the best moves I could have made. It not only gave me more pastry experience, it gave me the professional experience that I lacked when first enrolling for culinary school. But beyond that, it gave me a kitchen full of teachers, professional pastry chefs who were willing to teach those who showed an eagerness to learn. I really appreciated those two days a week, going into that kitchen to work, to learn. I threw myself into every job, from making sorbet base to peeling boxes of apples to rolling sable dough, all the time watching and observing as much as I could. I was acutely aware that a stagiaire could be an annoyance to others, an extra body in the kitchen getting in the way, not knowing what to do. I kept my head down and did what I was told, wrote down everything I was taught and tried my hardest to be better every day to prove that the opportunity I had been given was not a mistake. Six weeks in, the executive pastry chef called me into the office and offered me a job come graduation. In August, the offer was made official and a starting date finalised. I’m going to be a professional pastry cook! That was all I could think as I sat through my afternoon demonstration, wondering how I’d reached this point when eight months ago, I could hardly fathom a life beyond Le Cordon Bleu. Fast-forward to September and our graduation ceremony and I barely recognised myself from the quiet, scared Basic student who tiptoed around LCB, afraid to put a foot wrong for fear of looking foolish. I felt like an entirely different person, with the understanding, experience and confidence I had gained during my course and my stage. If you had told me in January what I’d be doing in my final Superior exam, I would have laughed in your face and said “Not in a million years.” But standing on the stage in Ballroom Three in The Intercontinental Park Lane, feeling the weight of the certificate in my hands and the medal around my neck, I knew that I was there because I’d earned my place. It was a celebration of what we had all achieved during the past few months and it marked both an ending and a new beginning as the industry beckoned. You won’t believe how far you will come in nine months and how much you will learn. At the end of your diploma, when you look back to where you were when you first started, you won’t believe how much you’ve grown. These words, spoken to us on our very first day by the Head of Education, are imprinted in my memory because they ring with truth both on a professional and a personal level, but also because they summarise perfectly the year I’ve had. Reflecting on it now, as the new year looms, I still can’t believe how lucky I’ve been during the last twelve months; in some ways, I wish I could re-live it and go back to those wonderful days at LCB where I first learned the basics of my craft. That said, I wouldn’t change my life as it is now for anything; I’m working in a job I love with some fantastic colleagues and right now, I wouldn’t want to be anywhere else. So, here’s to a 2014 that will be just as good as (if not better than) 2013! This entry was posted in Le Cordon Bleu, Life, Personal and tagged Baking, Food, Life, Personal by JC. Bookmark the permalink. Hello, i’m looking to apply to the London campus soon and was wondering if I could get in touch with you on advice about getting into LCB. Loved what you’ve written! Hi Matthew, sorry it’s taken me so long to see your comment. If you still have any questions about LCB, please do feel free to get in touch – I would be more than happy to help. I’m looking forward to Join LCB london campus. Would love to get in touch with you and get few insights about the course. Hi Neha, thanks for your comment – I’d be happy to answer your questions and wish you all the best for your time at LCB! Will you be taking the Pastry Diploma or a different course?